In the never-ending quest for the best laptop, one key feature that every buyer considers is portability. While most PCs are designed with this feature in mind, the 2-in-1 breed of machines is an excellent option as it offers the best of both laptop and tablet worlds. 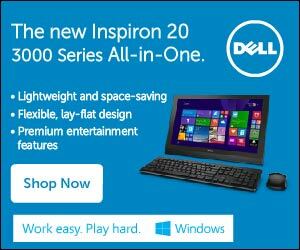 However, like all PCs, 2-in-1 devices vary in performance, processor speed, battery life, and configurations. In addition, they span a range of price points including low-end and premium. In this review, we take a look at some of the best 2-in-1 PCs under $600 for those on a budget and looking for a relatively high-performance machine. When it comes to budget 2-in-1 computers, ASUS is one of the renowned brands that manufacture affordable PCs with great features and performance. Powered by an N4000 Intel Celeron Dual-core processor, ASUS VivoBook TP401MA-YS02 can handle heavy tasks without a fuss. Multitasking on-the-go is also easy thanks to the machine’s 4GB LPDDR4 RAM and 64GB of storage capacity. At 3.3 lbs, the PC is extremely light in weight. 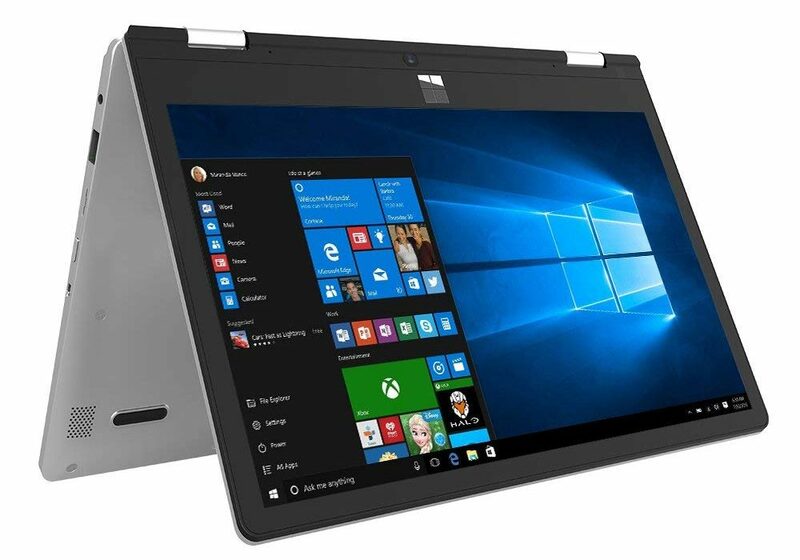 In addition, it features a 15.4mm profile and NanoEdge ultra-narrow bezel making it one of the most portable convertible computers around. On top of that, it boasts a high-precision touchscreen that works perfectly well with ASUS stylus pen. But wait there is more. The touchscreen is fitted with touch sensors that are spaced at close intervals to allow for superior sensitivity. As if that’s not enough, the machine is equipped with a USB 3.1 port alongside a reversible USB Type-C connector designed to ensure fast data transfer speeds. Also included is one micro USB 2.0 port and HDMI so you can easily and quickly connect it to different peripherals or devices. For efficient performance, it comes pre-loaded with Windows 10 S operating system. 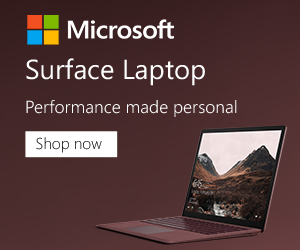 Best of all, you can upgrade to Windows 10 Pro at no cost via the Microsoft Store. Another feature that makes the ASUS VivoBook TP401MA-YS02 our top pick for best 2-in-1 PCs is its premium battery that lasts all day on a single charge. The battery also utilizes ASUS SuperBattery technology to ensure long-lasting performance. Additionally, it is outfitted with ASUS SonicMaster technology for the most amazing audio and entertainment experience. 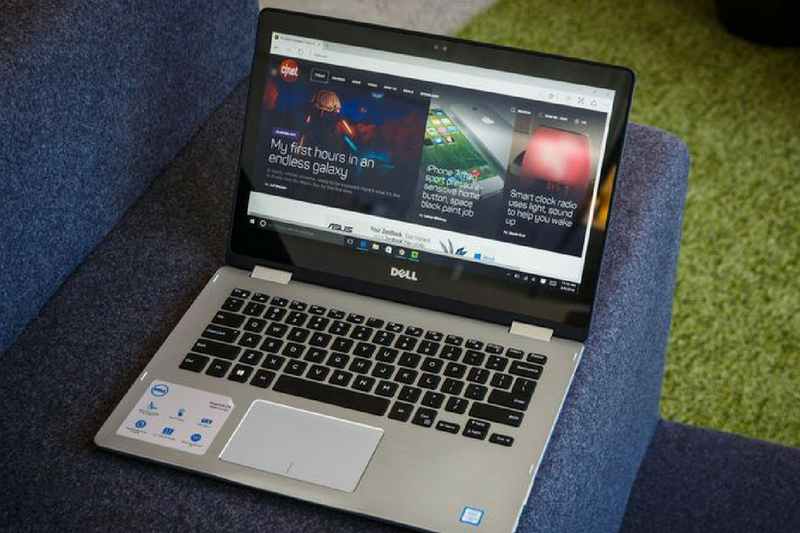 The 2018 Newest Dell Inspiron has a lot to offer and is a solid performer for just about any task despite being extremely inexpensive. For starters, it is powered by Lithium-ion batteries that provide you with up to seven hours of battery life. So, if you are going to be out of the house all day using the machine, you will need to carry a charger with you. In addition to this, the PC comes equipped with an 11.6-inch HD screen with a resolution of 1366 x768 pixels that provides better viewing angles and high-quality colors. The display also employs LED backlit and Intel HD graphics for smooth text and quality movies. Further, it boasts 802.11bgn wireless compatibility for smooth browsing experience coupled with Bluetooth 4.0 for seamless file transfers. When it comes to performance, the machine employs N3710 Intel Pentium processor with a base frequency of 1.60GHz and a turbo boost of up to 2.56GHz. This together with its 500GB of hard drive storage capacity plus 4GB of DDR3L RAM ensures faster start-up times and browsing of multiple programs. In addition, you will be able to run your applications, games and even photos with ease. Moving on, at 3.09lbs, there is no doubt that the PC is light in weight and incredibly portable. On top of that, it operates on Windows 10 OS that includes new features such as the Edge Web browser to help you markup web pages on the screen. Also included is a micro SD card reader just in case you would like to expand its storage capacity. Powered by Intel Core processor with 4GB of RAM, the ASUS Chromebook C302CA-DHM4 is designed to handle almost any task thrown at it. It is also very efficient which helps in extending its battery life especially while on the go. 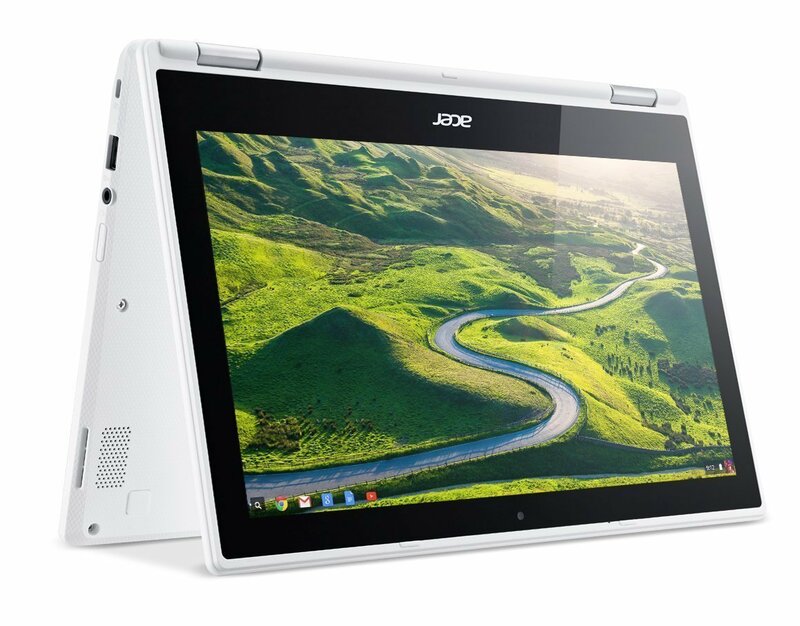 Further, it employs lighting fast Chrome OS for fast performance when starting it up or browsing. In terms of storage, the machine boasts 64GB in hard drive state as well as free 100GB with Google Drive. In addition, it has a Micro SD slot to ensure you have enough room for all your documents, photos and videos. Another incredible feature of this 2-in-1 Chromebook is its power-efficient battery that lasts up to 10 hours for all day use. As such, you can keep up with work or enjoy some light gaming wherever you go. 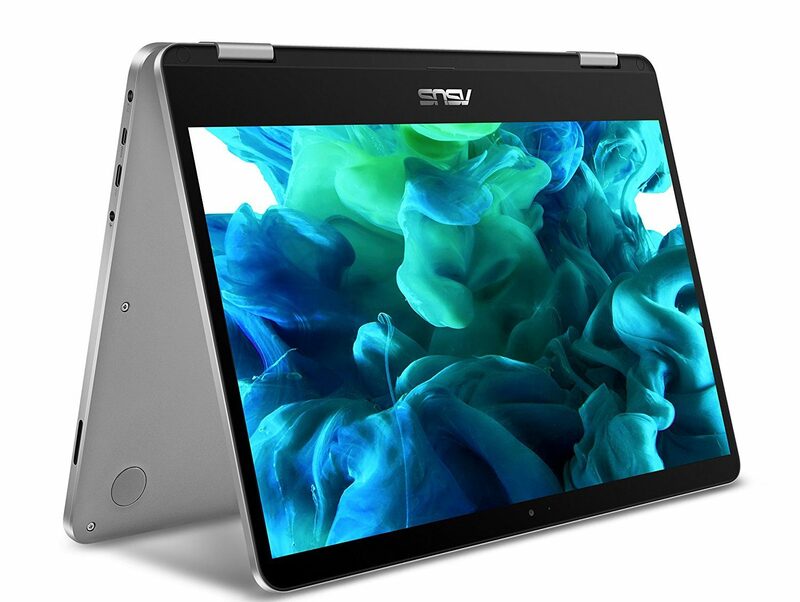 Additionally, the ASUS C302CA-DHM4 Chromebook is fitted with the most flexible and advanced port- USB 3.1 Type-C that provides everything you need in just a single connection type. For instance, you can use the port to charge the PC or even transfer files at fast speeds. As if that’s not enough, it comes with an audio jack so you can listen to your favorite music. With connectivity being everything in a 2-in-1 PC, this Chromebook employs the fastest and latest 802.11ac Wi-Fi that is three times faster compared to 802.11n. On top of that, it boasts power-efficient Bluetooth 4.0 for convenient connectivity. But here is the best part; the machine includes a 360-degree hinge that allows you to use it in endless ways including tablet, tent, laptop and stand mode. 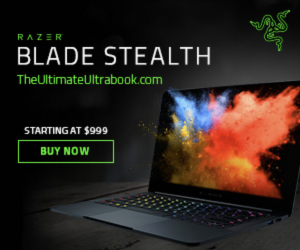 Finally but most importantly, it is outfitted with a full-size chiclet keyboard coupled with a spacious touchpad for a solid typing experience. And to give you total peace of mind, the PC incorporates anti-virus protection to ensure your personal data like emails and photos are always safe and secure. 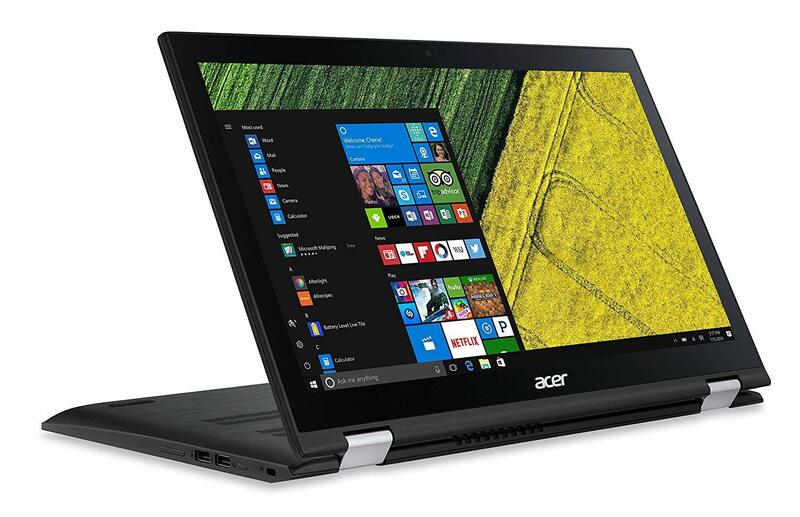 The Acer Spin 3 15.6-inch is arguably the best 2-in-1 PC when it comes to performance, connectivity, battery life, and storage. Under the hood, it features some pretty nice specs for a machine in this price range. For under $600, you get an i5-7200U 7th Generation Dual-Core processor with a speed of 2.5GHz and turbo boost of up to 3.1GHz which is decent enough to let you run multiple applications at once. But wait there’s more. The machine comes with a full HD touchscreen display featuring a resolution of 1920 x 1080 pixels and LED backlit functionality. On top of that, the display incorporates Intel HD Graphics 620 for quality colors, especially while watching HD movies or gaming. As if that’s not enough, it boasts a backlit keyboard with a numeric keypad that offers incredible typing experience even in complete darkness. To top it all up, the PC includes 12GB of DDR4 dual channel memory coupled with 1TB of SATA Hard Drive storage that provides you with plenty of space for all your documents. In addition to that, it employs an SD Card Reader just in case you would like to transfer some files from other devices. And that’s not all. The Newest Acer Spin 3 is equipped with two stereo speakers and a digital microphone onboard alongside TrueHarmony Sound system which makes it ideal for podcasters. High-performance 802.11ac Wi-Fi, one HDMI port, one USB 3.0, an Ethernet LAN port and two USB 2.0 ports also come in handy with the device. Last but not least, it operates on a 4-cell Lithium-ion battery that is reported to last for up to 9 hours with continuous use. This together with its 4.7lbs of weight capacity and 2-in-1 design makes it relatively portable. The XIDU PhilBook 2-in-1 PC is a more rugged machine boasting superb construction, long battery life, and excellent keyboard ergonomics. In addition, it offers a great all-around experience whether used in tablet or laptop mode. Further, it features a multi-touch display that allows you to transform the PC into a versatile tablet as well as effortlessly scroll, zoom and swipe to explore games, images or web pages. You know what else? The machine comes equipped with 802.11ac Intel dual-band Wi-Fi for faster internet access and broader coverage. It is also compatible with 802.11a/b/g/n Wi-Fi networks and Bluetooth 4.0 to ensure you are always connected wherever you are. As far as connectivity is concerned, it boasts two USB 3.0 ports, one Micros SD, one headphone jack and one Micro HDMI port. Therefore, you can transfer files from one device to another without any issues. What is more, the device comes with stereo speakers that produce incredible sound for a superior entertainment experience. Another area this XIDU PhilBook excels in is performance. 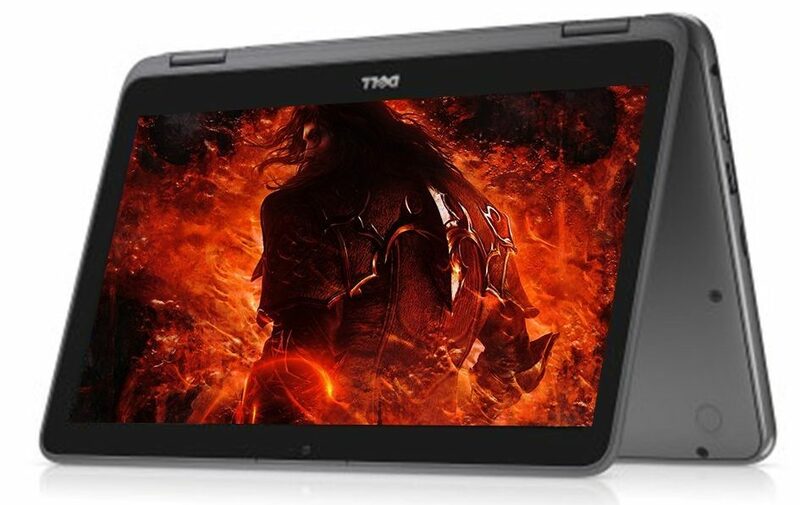 It is powered by Z8350 Intel Atom Quad-Core processor with speeds of up to 1.92GHz and 4GB of DDR3 memory. To top it all up, it includes 64GB of eMMC storage space although it can be expanded up to 128GB with TF card. With a slim bezel, Intel HD Graphics and a resolution of 1920×1080 pixels, you can enjoy life-like images, vivid and sharp text on the screen from nearly every angle. But probably the best feature of this machine is its ultra-thin and light design that allows you to slip it in and out of any bag. Convertible 2-in-1 devices have a reputation of being a little bulky especially in tablet mode which is why Acer’s 2017 Newest Premium R11 stands out from the crowd. Weighing in at just 2.76 pounds, this 11.6-inch Chromebook is manageable whichever way you choose to use it. On top of that, it boasts a smaller screen size of 0.8-inch for ease of portability. Additionally, the PC is fitted with a 10-point multi-touch display for superior hands-on control. Also, the display boasts Corning Gorilla glass designed to withstand minimal impact damage as well as resist scratches. For clear and sharp images, it utilizes Intel HD Graphics 400 coupled with shared graphics memory. And that’s not all. 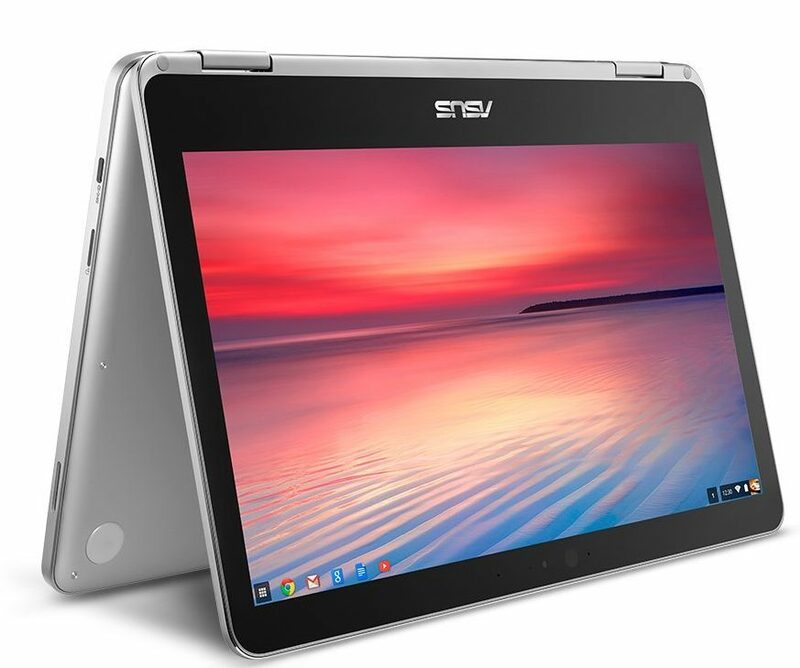 The Acer Premium R11 Chromebook operates on an N3160 Intel Quad-Core processor with speeds of 1.6GHz to ensure programs run as smoothly as possible. Further, it includes 32GB of eMMC flash storage that is capable of holding plenty of files and 4GB of RAM for superior performance on the go. Besides that, the Chromebook features one HDMI port, one USB 2.0 and USB 3.0 for faster data transfers and easier connectivity to peripheral and other devices. Best of all, it supports Bluetooth 4.0 and 802.11ac Wi-Fi connections. It also includes an SD card reader for fast photo transfer and microphone input and headphone output. There has never been a better time to invest in 2-in-1 laptops than now. So, if you are on a tight budget, we are convinced that any of the machines we have listed here can serve you for years to come. Their performance is top-notch and you can rest assured that they can give you the value you’ve been yearning for.